Recorded Dec. 4, 2014: John Gonzalez and Amy Sherman are co-hosts of "Behind the Mitten," a podcast about Michigan beer, food, festivals and the people who make it all happen! Today's episode finds Amy and John talking to co-pastor Billy Norden of The Community Church, which is hosting the Ada Chili Cookoff on Dec. 6. (Listen at 3:20 mark). 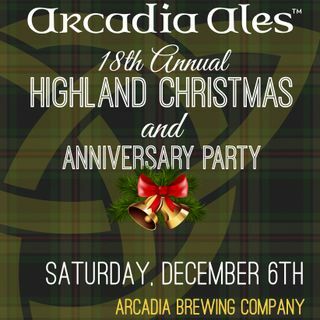 They also talk to Tim Surprise, the founder and owner of Arcadia Brewing Company, which is hosting its 18th Annual Highland Christmas ... Maggiori informazioni Anniversary Party and Charity Event (Listen at 8:37 mark). Also, Paul Starr of I'm a Beer Hound calls in to run down some of this weekend's events. Listen to his adventures of drinking out of a boot! (Listen at the 17:25 mark).